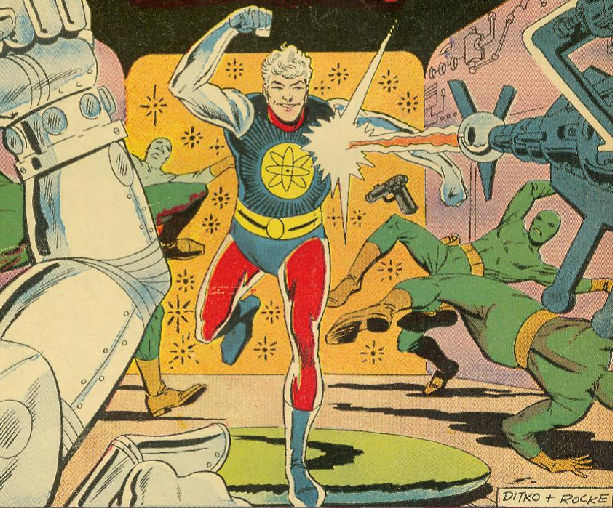 Since he was first developed by Steve Ditko in the 1960s, there have been several incarnations of Captain Atom. 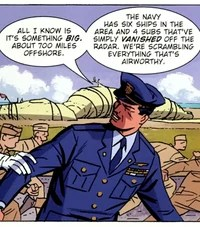 This version only appeared in this issue, written by Benjamin Smith and Dan Reed and drawn by Dan Reed. 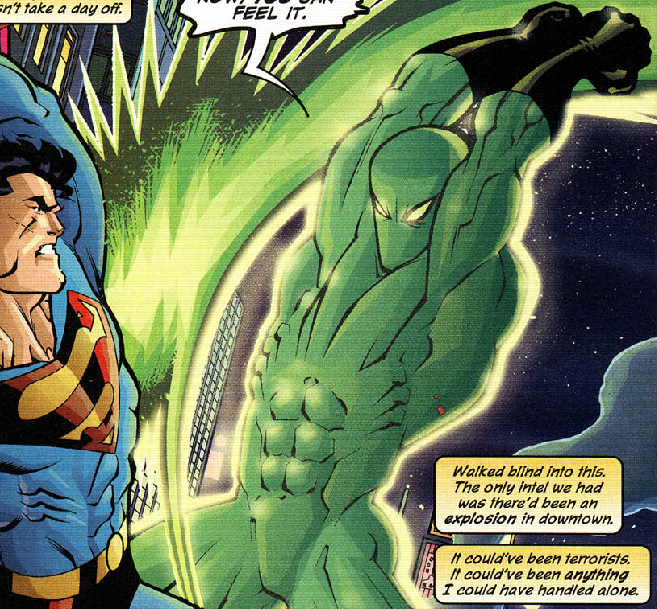 He had a slightly altered origin and his Silver Age costume as well as a new name and rank. 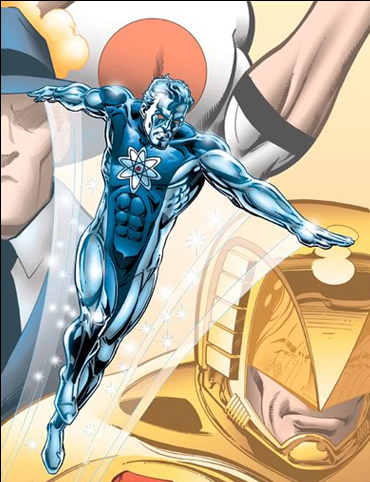 Although Captain Atom appeared in this costume in the 2005 WildStorm mini-series, it was still the Modern Age Captain Atom. 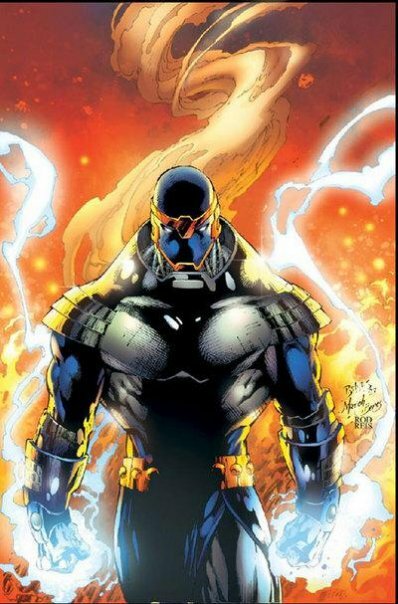 Monarch first appeared in Armageddon 2001 #1, but he was Hank Hall (Hawk). 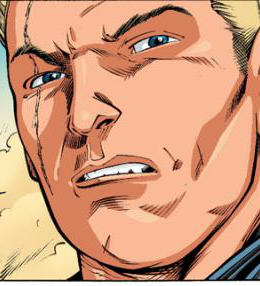 The Nathaniel Adam Monarch first surfaced in Extreme Justice #6. 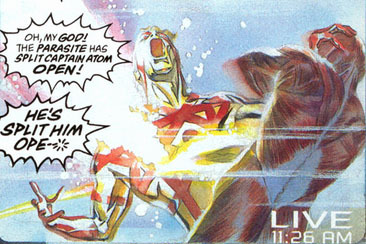 This was basically just a costume change for the Modern Age Captain Atom. It lasted only for this mini-series. 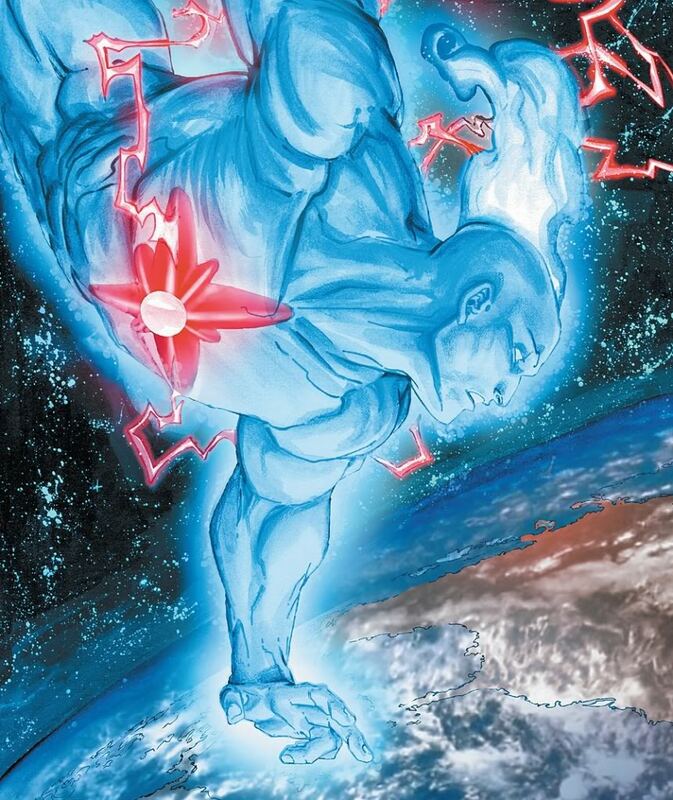 The post-Rebirth Captain Atom was created when the New 52 Captain Atom “committed suicide.” See The Fall and Rise of Captain Atom #1. 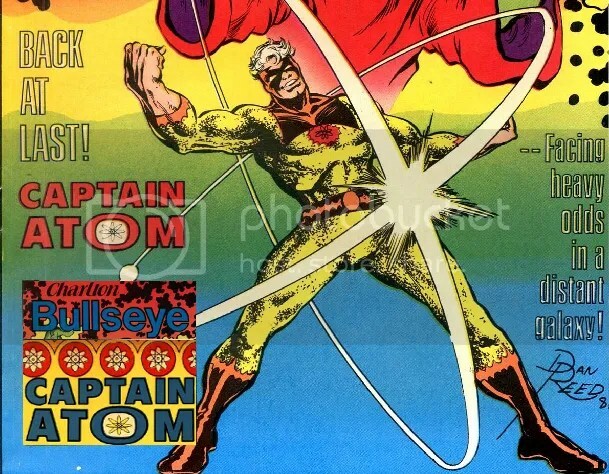 In The Fury of Firestorm: The Nuclear Man #15, part of The New 52 Captain Atom was hurled into the future where he became Captain Adym of the Science Police. 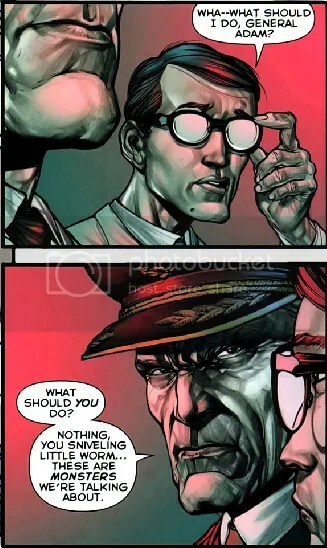 It is unclear at this writing if Captain Adym has any of his predecessors’ powers. 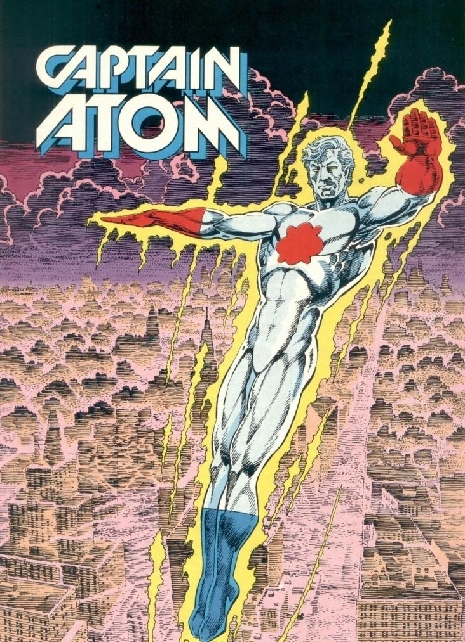 Although this version of Captain Atom seems identical to the Modern Age Cap, this series was not part of the regular DC continuity. 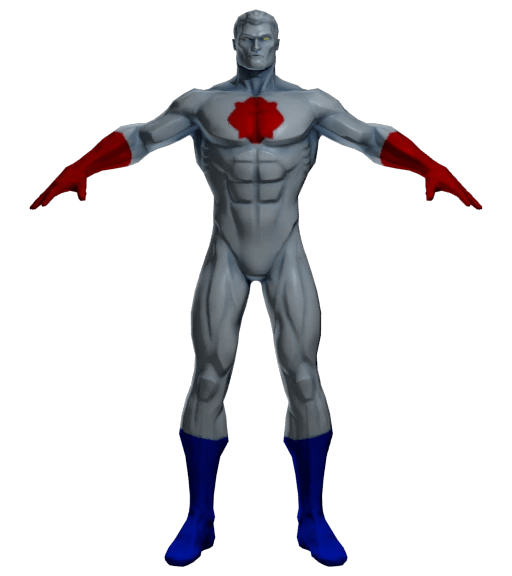 This Captain Atom’s secret identity was not established in the comics as “Nathaniel Christopher Adam,” but the Injustice: Gods Among Us wiki does use this name.